All the presidential candidates had events this weekend to mark the close of their election campaigns. 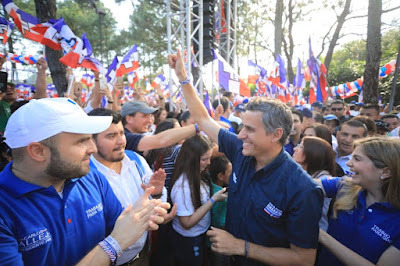 Carlos Calleja, the candidate from ARENA, held a series of 15 rallies around the country in three days. 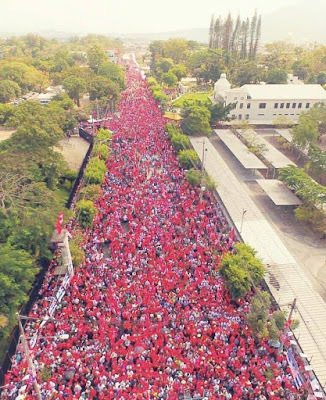 On Sunday the FMLN brought in the party faithful on buses from every corner of the country to a rally filling one of the major boulevards of San Salvador for blocks. 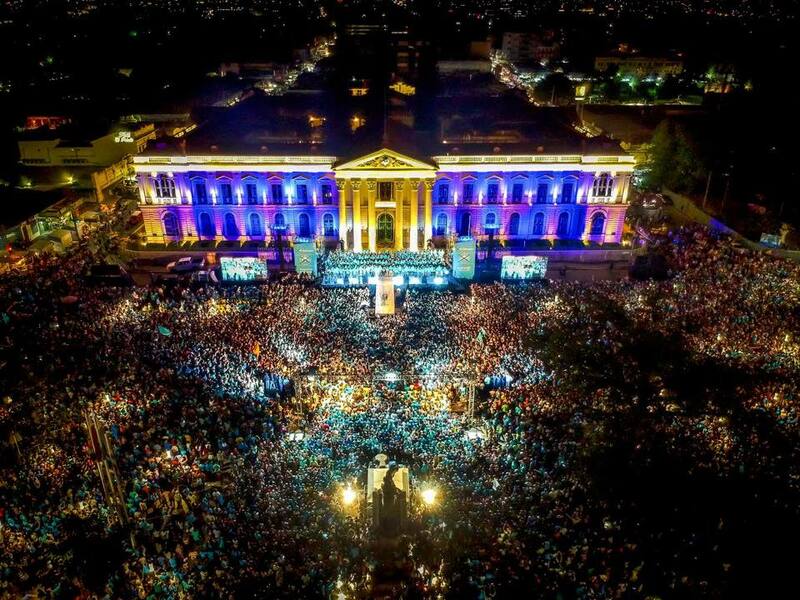 Nayib Bukele, the candidate for GANA/Nuevas Ideas, held a campaign rally Saturday night in front of the old National Palace. 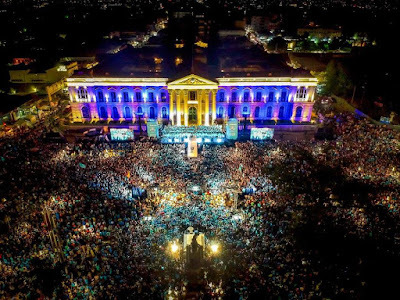 The location was in the midst of one of Bukele's accomplishments as mayor of San Salvador -- the renovation of the historic center of San Salvador. The hatred of El Salvador's largest newspaper La Prensa Grafica for Bukele was on full display in its Monday edition. 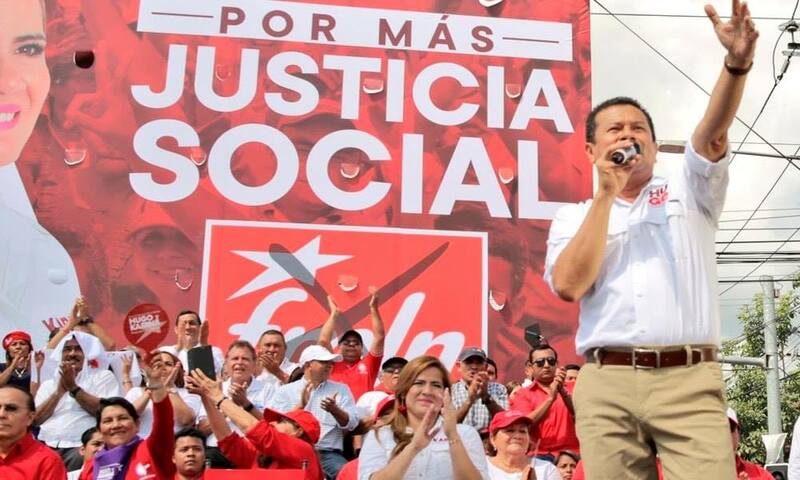 The paper covered the campaign closing events of ARENA and the FMLN with multiple page spreads. The paper even covered the closing event of the tiny VAMOS party in San Miguel. But there was no coverage at all in the print edition of Bukele's campaign closing event, despite the fact that the event drew an enormous crowd and Bukele holds the lead in all the pre-election opinion polls by a wide margin. 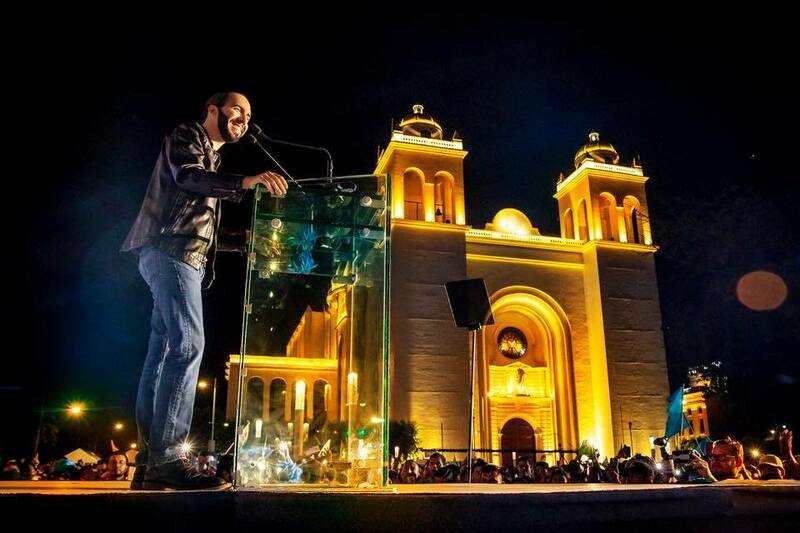 The only coverage of Bukele in the paper, was a report on the anti-Bukele speech given by Ernesto Muyshondt, current mayor of San Salvador, at one of the ARENA campaign events. 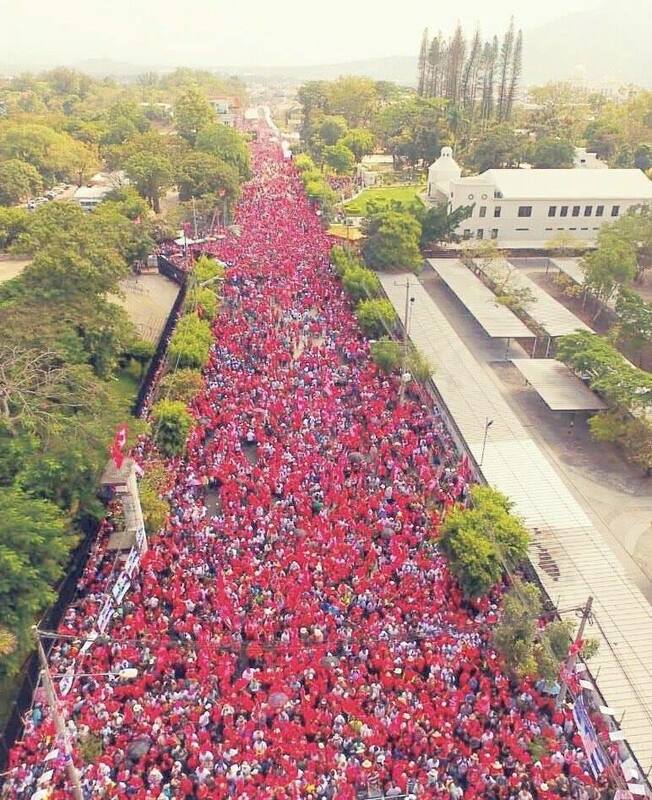 Meanwhile, there is plenty of negative advertising on the airwaves in El Salvador. One ad, claiming to be paid for by a previously unknown Salvadoran women's organization, claims a vote for Bukele is a vote for Guillermo Gallegos, the leader of questionable repute of GANA. Another ad, tries to play to religious intolerance, by stating "A Catholic father raises his son a Catholic. A Christian father raises his son a Christian. A Muslim father raises his son a Muslim......" in a not so veiled reference to Bukele being the son of a prominent Muslim. 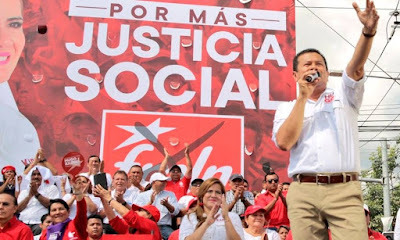 Meanwhile Bukele is running negative ads aimed at the FMLN, asserting that its leaders had deceived the people and only enriched themselves with corruption after coming to power in 2009. Thankfully, all political campaigning must come to an end three days before election day next Sunday. That ban on campaigning, plus the ban on alcohol sales and consumption starting on Saturday, is supposed to produce a well-considered and sober vote for president. Or so they say. Thanks for the update! I hope it’s peaceful and without irregularities.